When it comes to conservation groups, there are many, but very few do as much to bring the youth into the sport of hunting into our state than the Northeast Nebraska Chapter of Whitetails Unlimited. This dedicated group of individuals that holds their annual banquet each year in the Wausa, Neb. Fire Hall does everything they can to not only support whitetail hunting and hunting in general, but to support, youth, youth groups, communities, veteran’s groups and this year with the divesting floods we had in our area, even our area Red Cross. Beginning in 2004, the chapter’s first banquet, held in the Wausa auditorium basement where a total of 69 people attending, to this year’s event, which once again packed the Fire Hall. As the hall begin to fill, I knew that this year’s event would be huge, their largest ever banquet with 502 people coming together to support hunting and other projects, with 50% of the funds raised from the event remaining in our area, available to be donated back to help others. 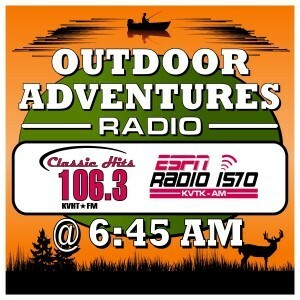 These were not only being hunting related activates, they also included area schools, communities, handicapped hunters & veterans programs, 4-H groups as well as conservation organizations, hunter’s education, and county extension shooting & archery sports. We had arrived early, to locate our table and to look over the huge variety of beautiful auction items. At our table, would be friends Andrew Zak, Bill Christensen, myself along with four of Bill’s grand kids joining us, the kids were looking forward to attending the banquet, as at this event, the committee goes out of their way to get kids into the outdoors and into hunting. Each year, this chapter works hard to involve the youth attending, by giving each kid, no matter how big or small something special, and this year it was a black hooded Nebraska WTU sweatshirt. Then because of special donors, the chapter also awarded through a drawing other kid’s prizes, with thirty-one 22-rifles as well as twenty BB-guns awarded, making this a “Special” event for many of those youngster attending. Those kids awarded 2-rifles at the banquet, had their accompanying adult fill out the permit application at the banquet and then, accompanied with an adult, pick them up at one of the WTU event sponsors, Paul’s Welding in Randolph. Before the auction started, there were several special Sponsors of the Year awards given out to two sponsors who had supported the group since its inception in 2004. This year’s recipients were Garry’s Farm Service, Garry Young, Bloomfield and the Wausa Lockers, Mike Anderson who each received a WTU plaque. 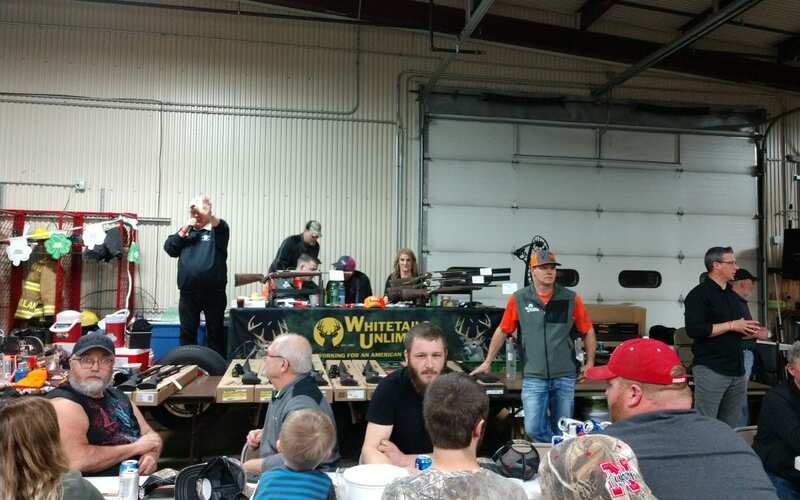 As Gary Vesley, the volunteer auctioneer at banquet started out the bidding; it looked as if the attendees came to bid, with the numerous beautiful wildlife prints, WTU branded products, seed corn, an African hunt, archery equipment and special WTU guns bringing excellent prices. Two of the Christensen kids at our table were lucky enough to have their number and names drawing for two of the larger youth prizes, a 22-rifle and a Nebraska lifetime hunting permit. One of the state WTU representatives then asked the two last bidders on the gun to come forward and asked if he were to send an identical gun to the second highest bidder would he purchase it, with those dollars being added to the Red Cross donation. Without any hesitation, the bidder agreed, with a check for $3,000.00 from the Northeast Nebraska Whitetails Unlimited sent to the area Red Cross. Congratulations to the Northeast Nebraska Chapter of the Whitetails Unlimited for putting together the 2019 banquet, it like all other previous banquets was a tremendous success, for not only those into hunting, numerous lucky individuals, communities as well as the area Red Cross.